A friend of mine gave one of these to my daughter when she was little and I was so touched I have been making them for friends ever since. This year I didn’t make any, though. It took a stroll in the neighborhood to remind me about them! I wandered into the local healing and gem shop and saw some little leather Native American Medicine Pouches and I remembered! What a great idea for a last minute gift! A Native American Medicine Pouch is a little bag, made from natural materials that a person uses to put special stones, dried herbs & berries, gems and small objects in for the purposes of healing the spirit, mind, or physical body. These pouches can also be used for protection, to invite positive energy to a person or simply filled with reminders of good times you have had together. The purpose of the bag is created by the giver and the receiver. For some people it contains powerful healing. For others it may simply be a treasured collection of memories from a friend. 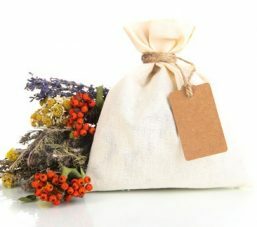 To make someone their own special Native American Medicine Pouch you need to start with a small drawstring bag made from cotton or leather. This can be made easily with some simple hand-stitching and by using any old T-shirts, car cleaning leather cloths, old clothes, fabric scraps or any fabric you have. The most important part of the bag, for me, is adding the “starter” charms. I always include a special object that reminds me of the person, represents something special between us or is something that would remind them of me. I also like to include two stones or gems that I choose especially for them. I always include a small stick of cinnamon (to repel negative energy) and then leave the rest of the bag empty so they can continue to fill it with meaningful charms they may already have, or ones they will collect in the future. If you are like me you already have a lot of stones and gems laying around the house so instead of purchasing some at the store, go into your stash and find some that you think may help the person you are making the bag for. Look up the name of the gem and read about what “gem therapy effects” it has. If you cannot identify the rocks or gems you have, it also works to look up the color and identify what healing powers those colors have. I enjoy making these as much as the person enjoys receiving them! They also make great group gifts if you are going to a gathering with many people and don’t know what to bring them all.